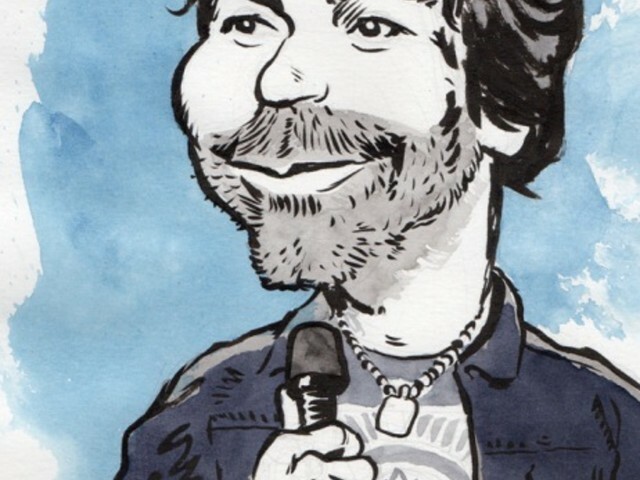 Comedy enthusiasts Matt Balaker and Wayne Jones have launched a website for their upcoming biography of the late, legendary comic Greg Giraldo. The as-yet untitled book has been a work in progress since Balaker launched a Kickstarter campaign to raise money for the project in September of 2015. The writer hit his $3,000 goal within two weeks of creating the Kickstarter page, and has spent the time since then collecting photos of the comedian and interviewing his friends, family, and comedy peers. Giraldo was, and still is, widely regarded as one of the best roast masters to ever take the dais. He was a beloved New York comic, making regular appearances at the Comedy Cellar in Manhattan as well as on the late night talk show circuit, performing numerous times on Conan, Letterman, and Kimmel’s shows. He was also a staple of popular shows Tough Crowd with Colin Quinn and Lewis Black’s Root of All Evil. He was a part of the beloved Dave Attell’s Insomniac Tour, and his only hour-long Comedy Central special, Midlife Vices, was well received and lauded by fans. Giraldo’s resume was deep and prestigious, which made his passing in late 2010 all the more tragic. His 2010 death resulting from an overdose of prescription medication, rocked the comedy world, which was made evident by the tidal wave of tributes that were made to him via social media, television shows and charity events in the weeks and even years after he passed. On the book’s website, the authors state that they’ve interviewed over 25 people who were close to Giraldo — comedians, friends, his ex-wife, managers, and many more — in order “to uncover what motivated this stand-up legend and the impact of his work.” Some of these names include comedians Jim Gaffigan, Marc Maron, and Jesse Joyce. Balaker and Jones are aiming to have the book published by September of this year, and intend to hold a launch event for the occasion at New York’s Comedy Cellar, where Giraldo began his mythical rise from former attorney to one of the most highly regarded comedians of his time.